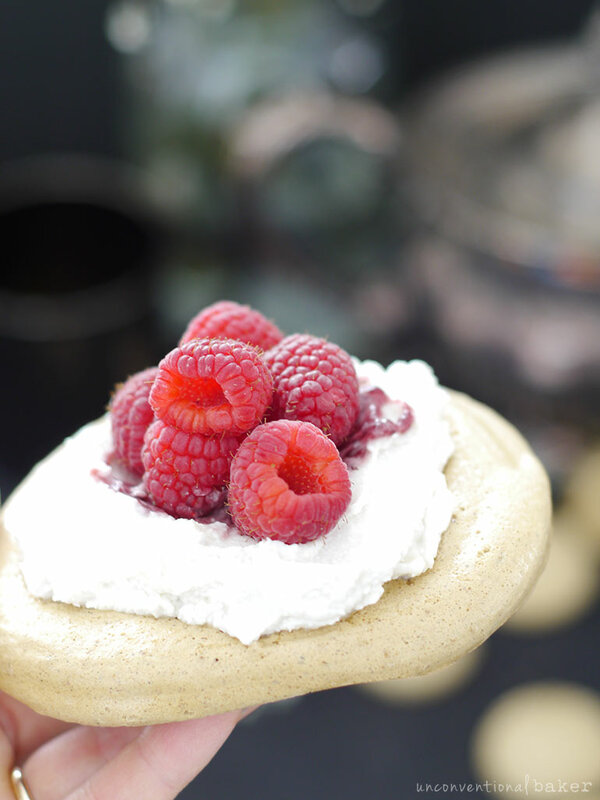 For this recipe I used a delicious layered combo: eggless and refined sugar-free aquafaba meringue cookies for the base, freshly whipped up coconut whipped cream, a dollop of raspberry jam and some fresh berries. But there are of course many possibilities for all kinds of fruity toppings of your choice. The result is something light, “happy-looking,” and the combination of airy cookies with lush cream (or ice cream, if you prefer) is so classic it’s hard not to fall in love! 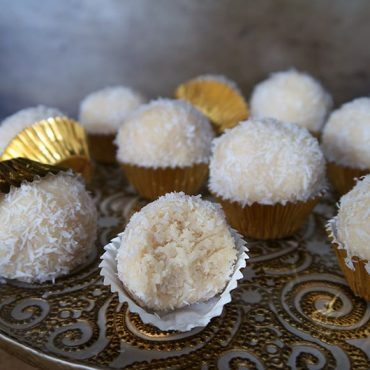 And while we’re on the subject of coconut-free options, if you’re looking to make this a completely coconut-free recipe, feel free to use finely ground maple sugar in the cookies (and an aquafaba-based whip or another whipped cream of your choice). For the cookies pictured, I piped mine out to get a rounder shape (as can be seen in photo above), but if you’re not overly picky about the finished shape, you can just spoon the mixture into a rough oval. Keep in mind it will spread out a little as it bakes. Making meringue is finicky. Making eggless meringue is very finicky. 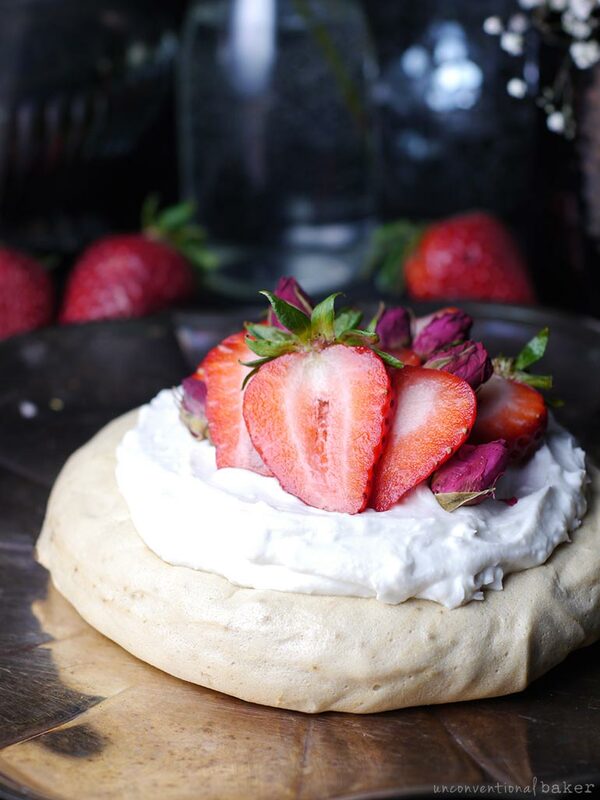 Making eggless and refined sugar-free meringue is… well, it needs a bit of a need-to-know of the basics first, so be sure to read this post on how to work with coconut sugar in your aquafaba meringue. 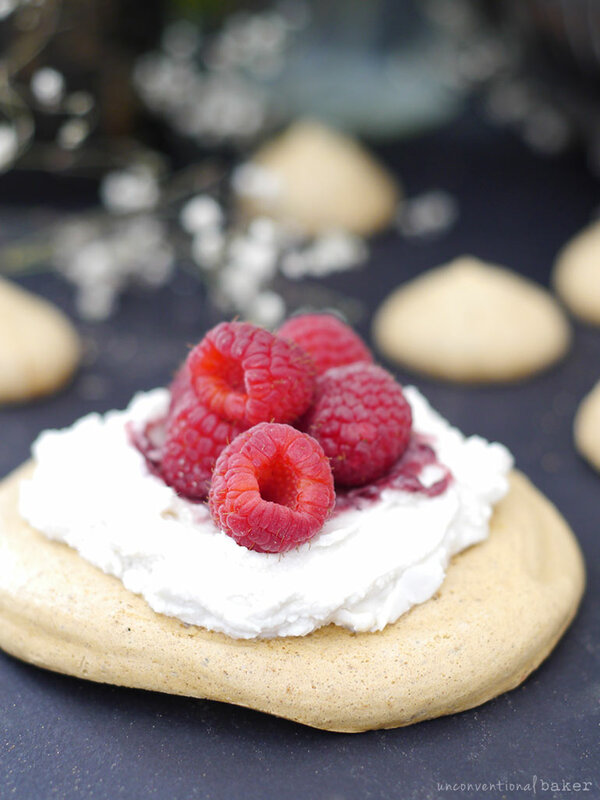 A crunchy, airy, and sweet (eggless) meringue-like cookie complemented with whipped cream, raspberry jam, and fresh berries. 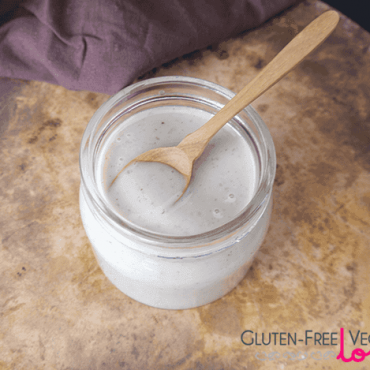 This recipe is vegan, nut-free, naturally gluten & grain-free, refined sugar-free, and uses no added oils. Once the aquafaba mixture reaches the stiff peaks consistency (it should look glossy and “full”, not “foamy”), fold in the coconut sugar just until it mixes in (try to mix as briefly as possible, just until the sugar blends in, or your meringue will settle and collapse; note: that said, it’s normal for it to settle back a little bit at this stage). Immediately dollop roughly 6 tbsp spoonfuls of this mixture onto a the prepared baking sheet(s) (or transfer mixture into a piping bag first and then pipe the meringues out), spacing them 2-3 inches apart (you should have roughly 4 large cookies, depending on the size you are scooping out). Bake in a pre-heated oven for 2½ hours. Remove from oven, cool on a rack (they’ll firm up a bit more as they cool). Once the cookies are cooled off completely, make the whipped cream: open the chilled cans and scoop out into a clean mixer mixing bowl (or can use a hand mixer and a regular mixing bowl for this part) just the solid white cream that should be separated out at the top of the can (trying not to get any of the water from the bottom of the can in). Whip the coconut cream to a whipped cream consistency, then add in the maple syrup and vanilla extract and whip lightly once again to incorporate. Assembly: Divide the whipped cream between the 4 cookies and spread it out lightly. Top with roughly a tablespoon of jam, and top with fresh berries. Enjoy! **For the jam here you can use a store-bought jam of your choice. I like St. Dalfour’s fruit-sweetened jams in terms of store-bought options. Alternatively, can make a quick and easy homemade version of a refined sugar-free jam using one of the following recipes: raspberry jam, blueberry jam. 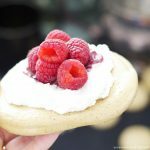 Storage notes: these meringue and whipped cream cookies should be enjoyed right away for the best consistency, but can also be left covered (at room temperature or a slightly cooler temperature ideally, and only once the cookies are fully cooled off) for a few hours if planning to serve a little later. The meringue cookies, however, can be made a day or two in advance and topped closer to serving time, if need-be (and in that case should be stored in an air-tight container in a cool environment). Disclaimer: this recipe contains affiliate links to the following: guar gum, coconut palm sugar, maple syrup, coconut cream, pure vanilla extract, raspberry jam, a stand-up mixer, a hand mixer. These look amazing! The first time I tried using aquafaba was NOT successful, but I realized that I need to mix it with cream of tartar or another thickening agent for an optimal whipping texture! Thanks Cassie! And thanks for sharing. I find xantham gum or cream or tartar does the trick as well. is the guar gum necessary? Hi Eva. 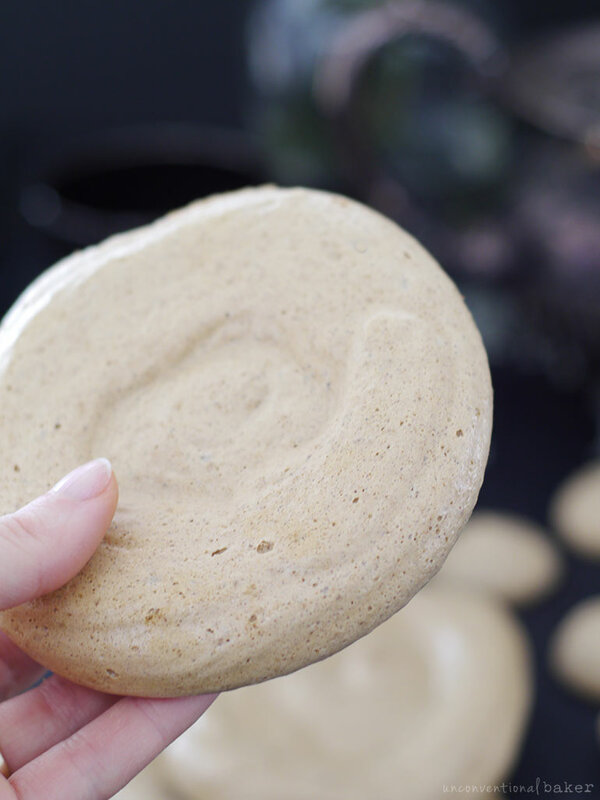 The guar gum acts as a stabilizer for the aquafaba foam, so I’d stick with it for best results. You can try cream of tartar instead. I find it works slightly better with guar gum, but cream of tartar is the next best alternative.